That's a great pic of you in the shirt. Fab u lous. What is it about stopping in the middle of a run, then starting up again in pain? Did that this morning. Clearly I shouldn't have waited at the light:) Solution? No stopping. Are you running STG marathon? I have run it 3 times and it is my favorite. My twin sister (active bands lady) is running it for the first time this year. 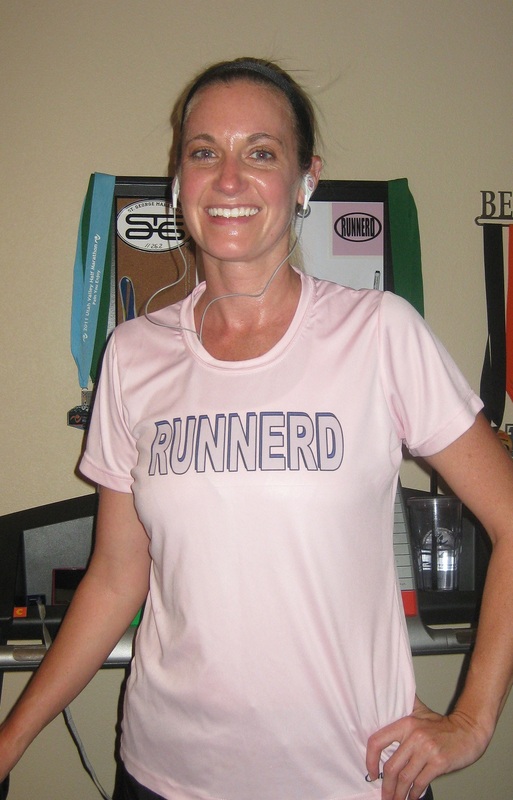 Love your runnerd shirt. I just might need to order one and wear it for my NYC marathon. Fun. Love the Runnerd shirt and I think any running shirt in pink is pretty much perfect! LOVE the sweaty pic! I'm going to go check out those shirts now, that's a great price. Good luck with that massage. Good luck with the doc! I hope everything is ok!! That is a great price for a shirt like that - I'll look into it! Love that poster up top! bummer about the hip flexor. I hope your massage tomorrow helps...I've had a few of those painful not relaxing massages and they're hard to get through but so worth it after wards. Great lookin' shirt! Good luck with the painful massage. They always help me. Who are you kidding? 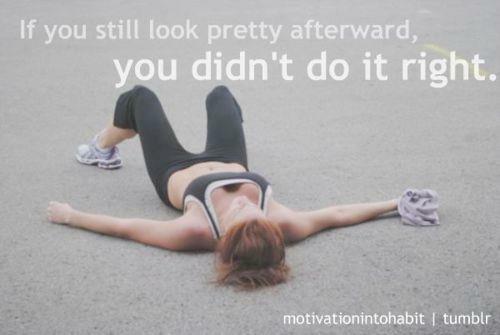 You look great mid-run! Love the shirt and thanks for th website. That might come in handy for our Tough Mudder team! I hope the massage helps work out the issues. Love that shirt, and you always look great! Hope the pain goes away fast!! Love the shirt! And that really is a great price! I'm going to go check it out. i'm sorry about your hip flexor, but you still have plenty of time before St. George to get it worked out! No worries! You've done all the hard training! You'll be great!